Gorgeous lace motifs cascade over tulle in this sheath wedding gown. 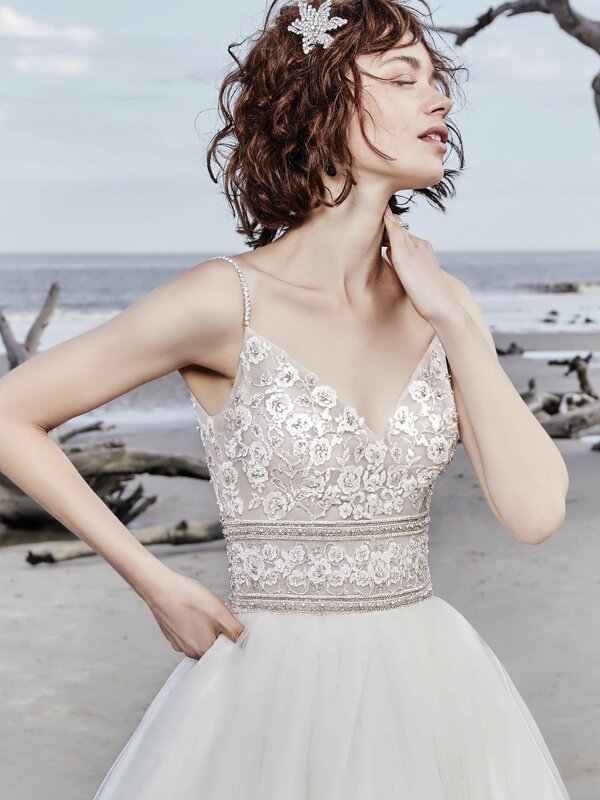 Beaded spaghetti straps glide from sweetheart neckline into a unique illusion detail over the open back. Finished with covered buttons over zipper closure.